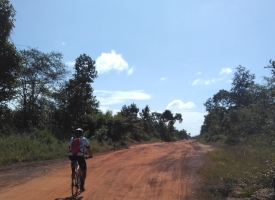 Here is Conor’s latest update from Thailand on the 2015 Bamboo Road cycling expedition. Although none of the Bamboo riders may have felt it at the time, looking back at our start in China the days actually seem cool now. As we have worked our way south through Vietnam, Lao, Cambodia and now Thailand the days have become hotter and more humid. Where up north riders often took their time during the ride, many have now adapted their strategy to push hard early in the morning in hopes of avoiding the worst of the days heat and sun. Arriving to town, many seek refuge in whatever air-conditioning they can find; whether it’s the hotel or just the closest Seven-Eleven. 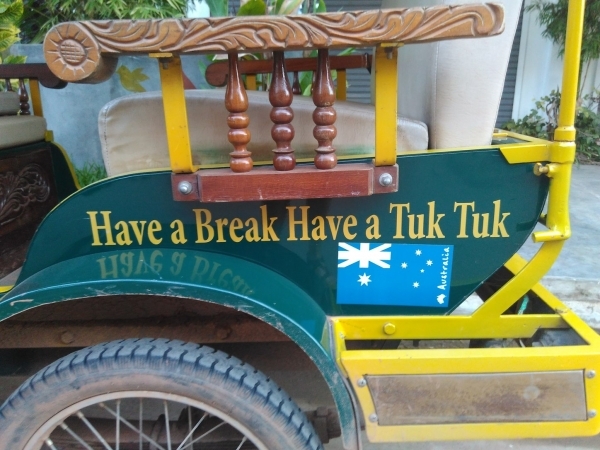 Bikes are often locked up on arrival and local transport is accomplished through the shade and breeze of the cheap and ever-present Tuk Tuk. Fortunately, as our route heads south we have now entered the Malay Peninsula where the coast is never far away. With our route hitting the coast several times in a day riders are able to feel a cool sea breeze or even stop for a quick swim mid-ride. 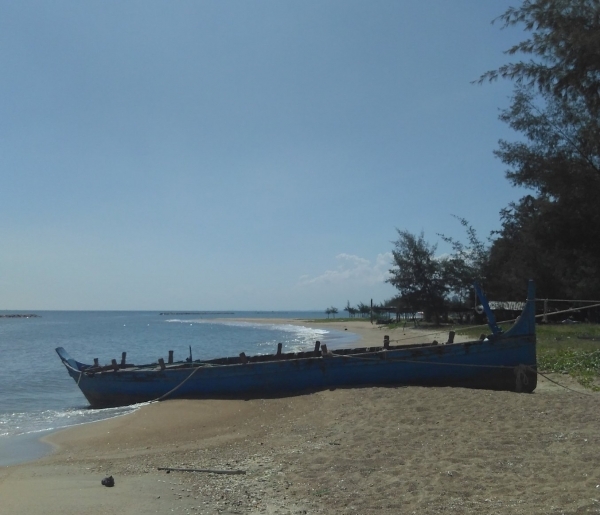 Just when the heat seems unbearable, the beautiful open beaches of Thailand’s east coast appear and make the riding that much easier. Of course, where there are beautiful beaches you’ll find buses of tourists, however with over 3,000 km of coastline in Thailand there’s plenty to go around! With views like these, the heat doesn’t seem so bad! However, it’s not just the weather that has been heating up as we move south. As the local cuisine changes we have encountered spicier foods, from curries to stir-fry’s the level of spice has increased daily. The Bamboo riders have learned to order food carefully if they’re sensitive to spice or at least temper their eagerness to order the spiciest dishes unless they have the hardiest of taste buds. 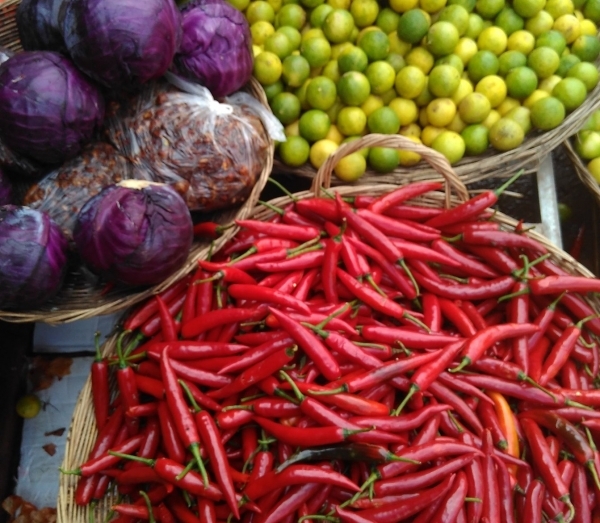 Even breakfast is not off limits to spice; at 6am you’re likely to find a small bowl of chili peppers ready to add to any dish. But just like the saving grace of beaches when the temps get hot, Thailand’s Singha beer is always a crowd favorite and life saver. 0 comments for "Coming in Hot"
Leave a comment for "Coming in Hot" by visiting the original post on our TDA Global Cycling blog.